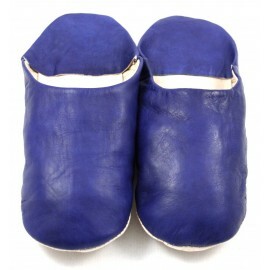 Round-ended slippers of Berber origins traditionally worn in the rural regions of Morocco. 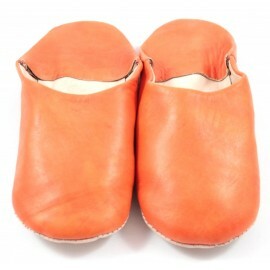 These truly authentic slippers are the fruit of meticulous craftsmanship. 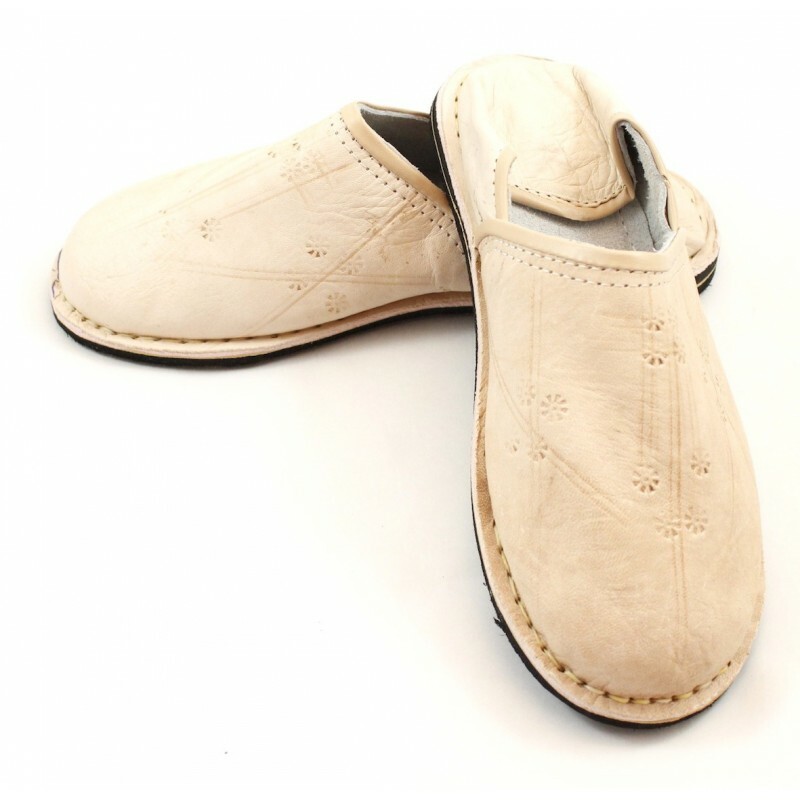 They're made of fine goatskin leather by skilled craftsmen whose gift has been passed on from generation to generation in the great city of Marrakesh. 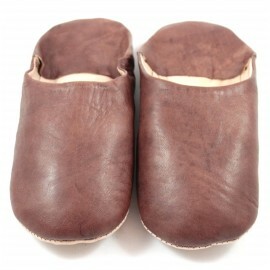 Slippers made of leather and sewn artistically onto a solid soft sole. 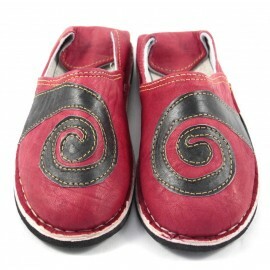 These exquisite slippers are made by gifted craftsmen who have decorated them with detailed patterns by carving the leather, resulting in a true work of art. 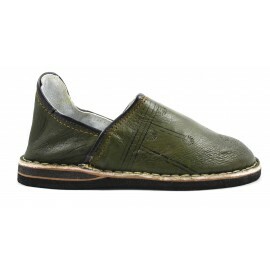 Comfortable yet solidly constructed, they're suitable for any sort of situation and may be worn both indoors and outdoors. 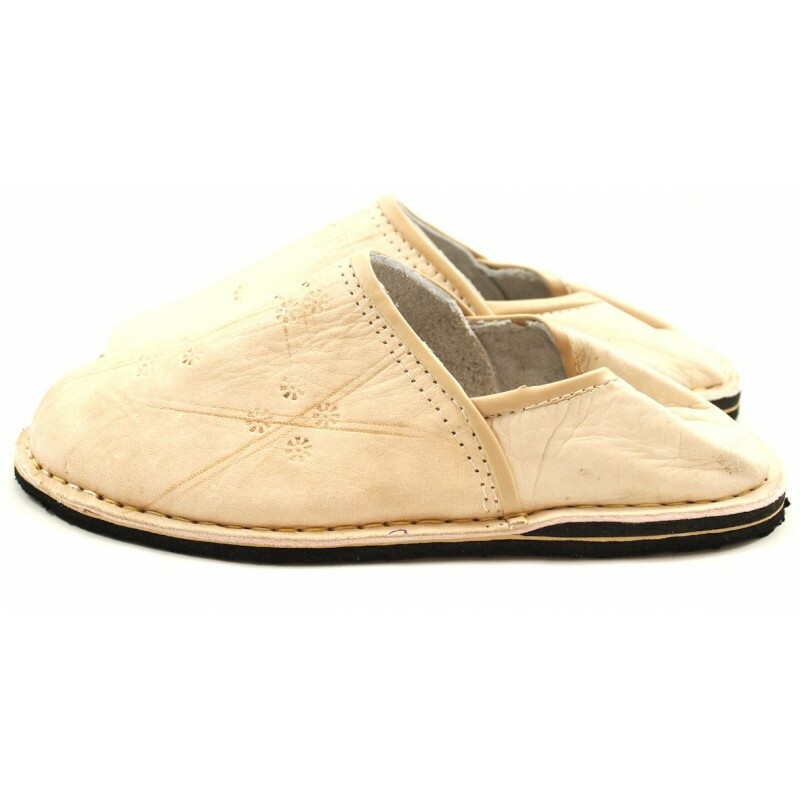 Double layers of leather and solid sewing. 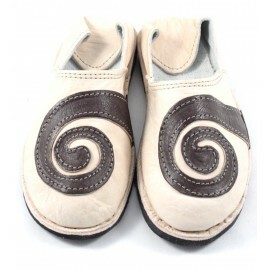 Inner soft sole also made of leather. 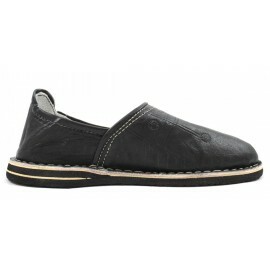 A black rubber soft sole on the outside as well. 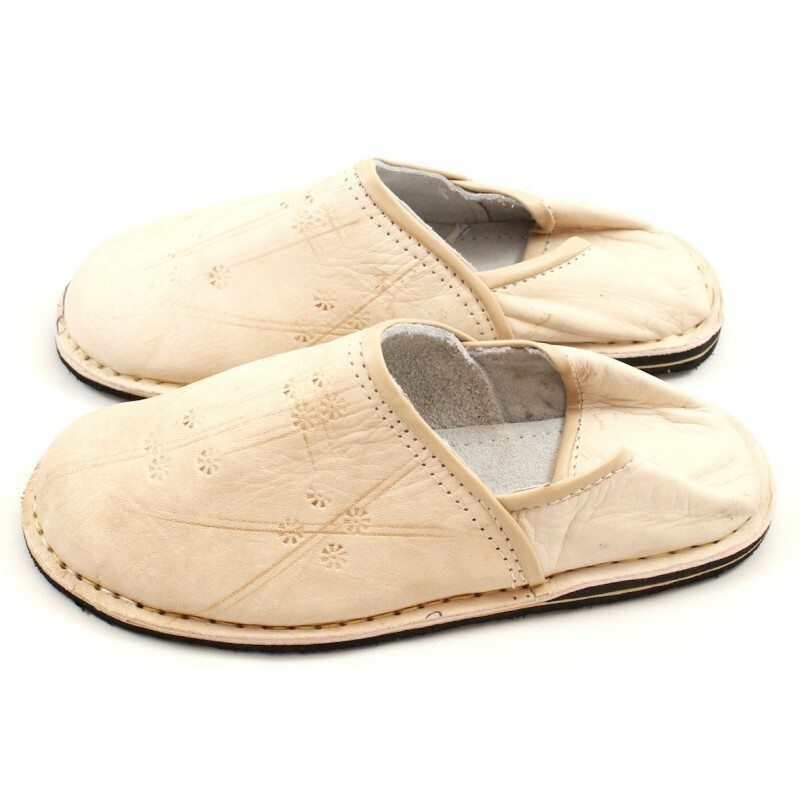 These slippers are not the result of industrial processes, but are the fruit of fine artistic craftsmanship passed on from generation to generation. Every pair is therefore unique with its own particular characteristics. 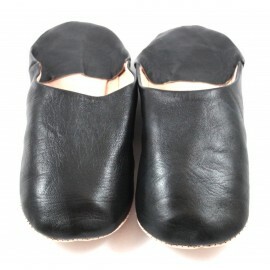 Please do bear in mind that the leather used here is flexible, and therefore it becomes smoother and softens with time. Thus, we advise to consider this when choosing your size. 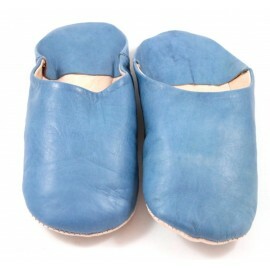 I love these soft comfortable slippers. 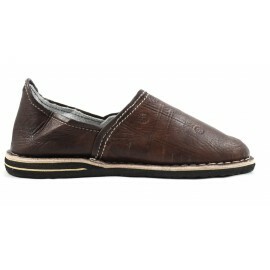 I wear them at home and also when I go out for short errands in the summer. The service was very fast and professional. 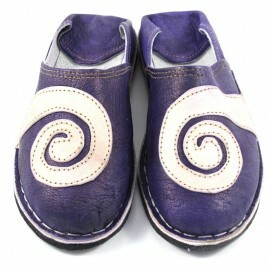 Belle couleur pour cette paire de babouches. espérons que le cuir se détendra un peu d'ici quelques jours. Délai de livraison très rapide et sans souci. 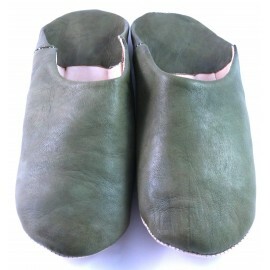 Très belles babouches, bien finies, le cuir est très joli et la semelle parait solide. J'adore le style et la couleur, ça c'est perso. Mais ma qualité est encore mieux : du cuir tanné naturellement, sans produit toxique... c'est malheureusement assez rare pour le souligner ! J'achetetai mes prochaines ici car la li raison est rapide et top. Artisanales, solides,confortables et conformes à la commande rapide et livraison gratuite. Rien à dire que du bonheur! 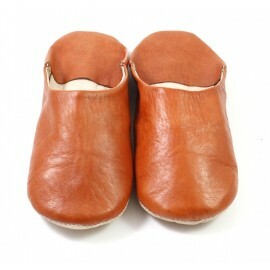 I am very pleased with the quality, look & feel of my beautiful Babouches. 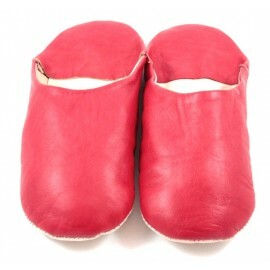 I usually have size 41, but because it´s a slipper size 40 felt more comfortable.